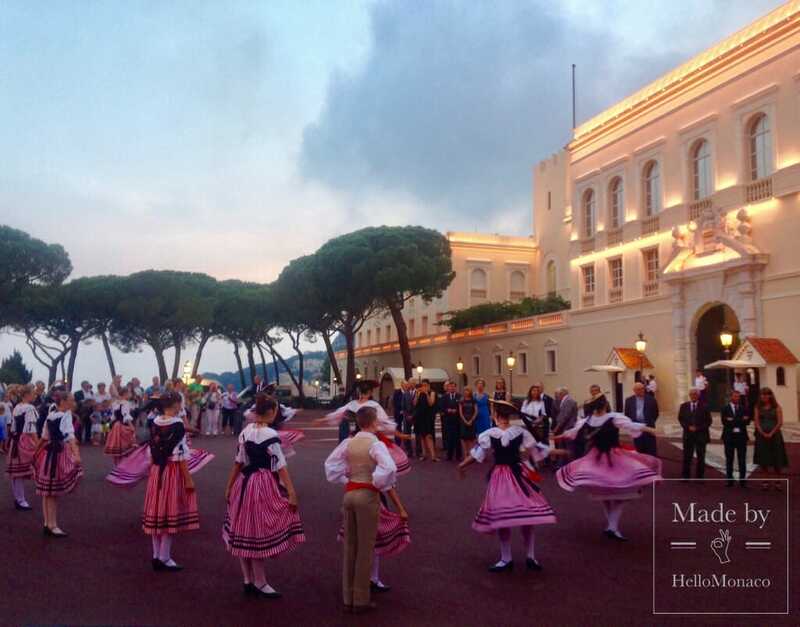 Residents of the Principality of Monaco came together on the 23rd and 24th of June to celebrate the traditional St. John’s Day, putting on a truly cultural festivity and creating an atmosphere of joy as participants welcomed the start of summer and the happy, sunny months to come. It is a part of the many events that celebrate the summer solstice; this day is specifically consecrated to St. John the Baptist, by the Roman Catholic Church, who is one of the central characters of the Bible and Annunciator of the Coming of the Messiah. He symbolizes the start of summer and the joy it brings, as St. John’s Testimony emphasizes Light and the Holy Spirit. 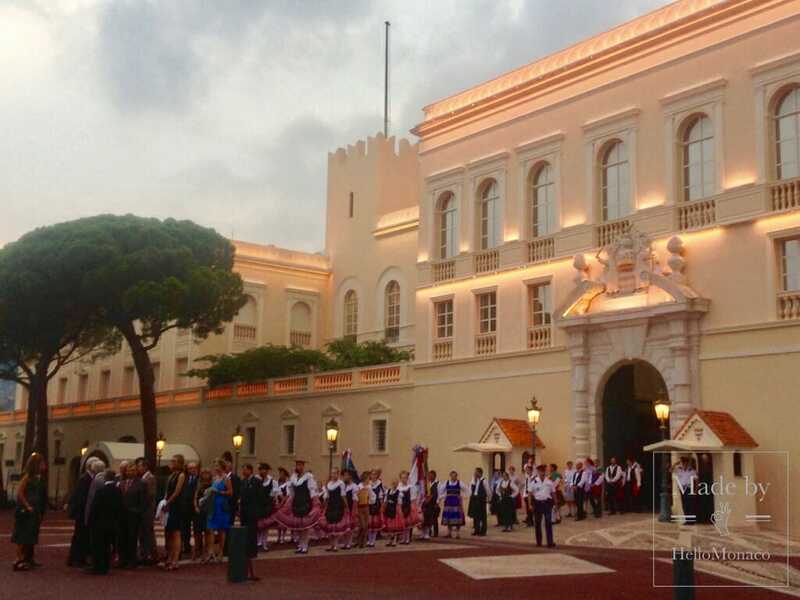 On the eve of Saint John’s Day, the 23rd of June, the Palace Square was alive with groups of people from all over the Principality and surrounding areas, taking part in the joyous celebrations. The sights on show included various folklore groups who were dressed up in the traditional Monegasque costumes, while they sang and danced. The dancing was perfectly choreographed as women and men and even children twirled around the fire and put on a show for the honorary attendees. The setting was beautiful; the hour-long celebration took place right around the sunset, filling the square with a golden glow right in front of the majestic palace. As the crowd got ready outside the Palace, a traditional service was held in the Palace Chapel, dedicated to Saint John the Baptist himself, which was also attended by several privileged people including the Presidents of the Tradition Associations. Once the service came to an end, the traditional bonfire was lit, creating a surreal image of billowing flames right by the beautiful Prince’s Palace. The procession then began with colourful dancers dressed up in traditional costumes, from the Palladienne of Monaco, cheered on by the crowd who watched with smiling faces. Princess Charlene and her two baby twins, Prince Jacques and Princess Gabriella, were also present, watching from one of the Palace’s balconies, the children pointing and waving as they took in the festivities of ‘fire and light’. The celebrations didn’t end there, as the next day the procession of about 300 people moved through the Principality to the Place des Moulins, where the old olive presses used to be found. The folk groups formed a guard of honour around “Little Saint John” and his lamb, according to the tradition. The procession then made its way to the Church of Saint Charles in the parish of Monaco-Carlo, accompanied by music, where another religious service took place, carried out by the archbishop Bernard Barcy who thanked those that support the tradition and encouraged them to “light the fire of joy”. Participants then returned to the Place des Moulins, led by a proud seven-year-old called Jessica who is part of the Portuguese folklore group Recordaçoes of Monaco. 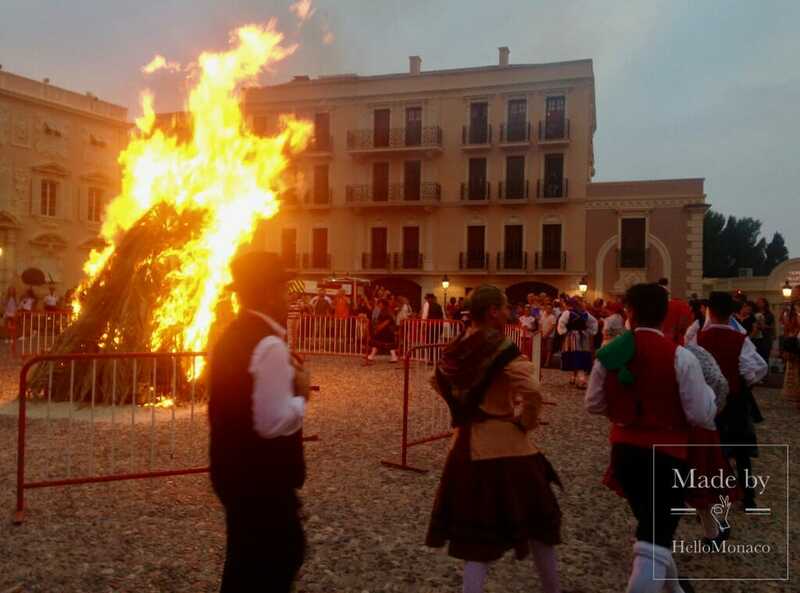 Another spectacular bonfire was lit while the Monegasque national anthem played – lighting a fire is an act of renewal, of beginning, reminiscent of the summer solstice. Those that took part then had a popular and religious feast before attending the great ball of Saint John, which takes place in the open air until late at night. Make sure you attend next year’s St John’s Day festivities to celebrate the start of summer and joyful months to come in the right way!